Waste management has become indispensable to safeguard human health and the natural resources. Environmental Protection Agency is rigorously involved in bringing behavioral change in solid waste management through approaches such as wastewise—a voluntary partnership between EPA and U.S. stakeholders—and pay-as-you throw. This has elicited an encouragement to escalate material recovery through composting and recycling. Resultantly, packaging manufacturers are relentlessly involved and focused on bringing biodegradable plastics aimed at reducing carbon footprint, thereby benefiting cellulose film packaging manufacturers. In addition, tax exemption for manufacture of bioplastic resin is one of the driving factor for cellulose film packaging market. 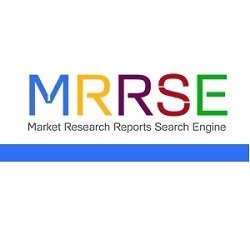 These aforementioned excerpts are according to the report titled, “Cellulose Film Packaging Market: Global Industry Analysis 2013-2017 and Opportunity Assessment 2018-2028,” which has been latterly incorporated in the ever-expanding repository of Market Research Reports Search Engine (MRRSE). Assessing a host of factors in terms of market revenue, the market for cellulose film packaging is anticipated to grow at a compounded annual growth rate of close to 5% during the forecast period 2018-2028. The attributions such extending the shelf life of fresh products through keeping a check on the moisture content, bio degradable nature and maintaining aroma of the produce have augured well for the cellulose film packaging market. Moreover, the growing popularity of cellulose film packaging could be attributed to characteristics such as enhanced printability and incredible durability. The report offers a coherent analysis on the cellulose film packaging market with qualitative and quantitative assessment. The report provides an analysis through insights on dynamics comprising of drivers, trends, restraints and opportunities that have considerable impact in the growth of cellulose film packaging market. The report also delves into the segmentation to provide an in-depth view of the cellulose film packaging market. The market is segmented on the basis of film type, source, application and region. The report starts with executive summary incorporating market overview and market analysis. The report also includes market background section which elucidates industry outlook, technology road map overview, value chain analysis, macro-economic factors, opportunity analysis and social media sentiment analysis. The report also includes market attractiveness analysis where segments are benchmarked on the basis of their growth rate, market size and general attractiveness. The section also includes Porters’ Five Force Analysis to elucidate the competitive scenario of the cellulose film packaging market. The final section offers actionable insights on the competitive scenario of the cellulose film packaging market with a dashboard view. The final section incorporates company overview, product portfolio, strategies and recent developments. Competitors in the market included in the report are Celanese Corporation, Futamura Chemical Co. Ltd., Chengdu Huaming Cellophane Co. Ltd, Sappi Limited and Eastman Chemical Company and Tembec Inc., to name a few. Report on the cellulose film packaging market is the result of a dynamic research methodology incorporating comprehensive primary and secondary sources. Primary sources have succored in offering actionable insights on the cellulose film packaging, while exhaustive analysis gained from secondary sources have been verified taking those assessments from primary sources into consideration. The market value projections has been evaluated on the basis of absolute dollar opportunity analysis and Y-o-Y projections.